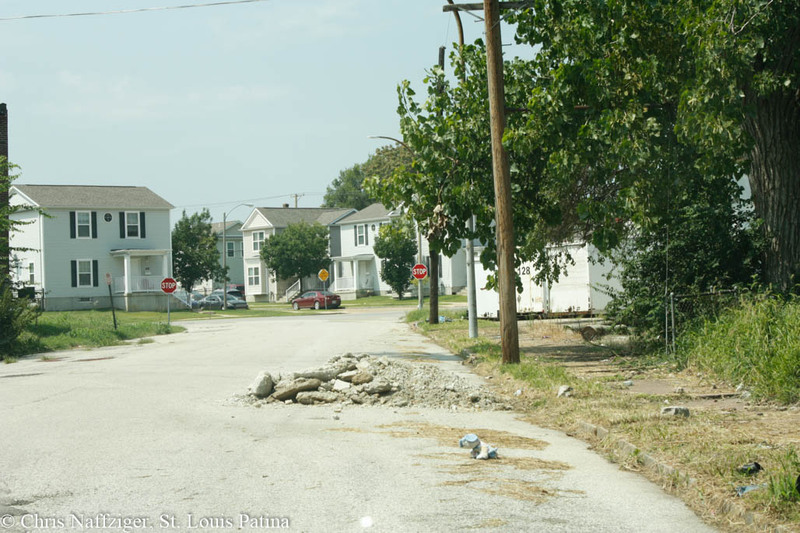 I constantly see things in North St. Louis that wouldn’t be allowed in other parts of the city. For example, the street here is just busted up with no warning markers. This looks like Branch and N. Florissant? I submitted a request to the street dept, via CSB. Request number 1148922.